Who knows you better than your siblings? After all, you grew up together, share half of your genetic make-up, and had many of the same life experiences. Eighty percent of Americans have at least one living sibling. Unlike friends or partners, we don’t choose our siblings, yet there is an undeniable intensity to this familial bond. The relationship with our siblings is usually the longest in our lifetime, and certainly one of the most powerful. As young children, our siblings teach us vital social and emotional life skills, like how to interact with our parents and make friends. Interactions with brothers and sisters demonstrate how to play, get along with peers, strategize, negotiate with others, work as a team, and manage conflict. However, the relationships between siblings are not always easy. During childhood especially, siblings compete for parental attention and approval, and kids often perceive that parents favor one child over others. These labels can have an impact, often causing resentment, rivalry and divisions between siblings. Maturity and the passage of time can help heal these wounds. As siblings move into adulthood, age differences and birth order become less significant, allowing the brothers and sisters to be on more equal ground and see each other more objectively. During these years, it’s typical for sibling connections to ebb and flow, mainly because everyone is busy with careers and families of their own. Proximity also plays a role in adult sibling relationships. I’m the youngest of three daughters. While my middle sister and I live only a few miles from each other, our oldest sister resides more than 1500 miles away. The physical distance between the two of us and our older sister is challenging. We work hard at staying in touch, but we can’t just call her in the afternoon to suggest a last minute dinner and movie. Sometimes siblings take different paths in life but come together during a family crisis. 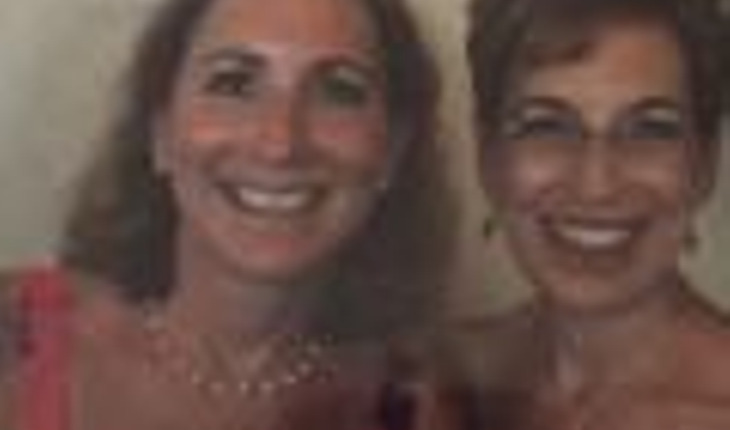 Judy Freedman (at right in photo above), a retired communications executive from Southern New Jersey and midlife blogger, says that she and her older sister Nancy (at left in photo above) didn’t have the same interests or friends when they were children growing up in New York City. Nancy entered college at age 16, later becoming a social worker and making her home on Long Island. Judy took a different route, joining a large company and steadily moving up the corporate ladder. While they spoke by phone frequently, the sisters didn’t see each other often during those busy years. Their mother’s failing health changed that. This ‘divide and conquer’ strategy worked well for a time. However, when their mom, who was then in her late-80s, took a fall and needed rehab, Nancy and Judy realized they could no longer provide care from a distance. They toured assisted living homes and settled on one their mother liked. To their surprise, their mother flourished, making new friends and taking part in so many activities that Nancy and Judy had to put her on a social budget. With their mother now living in a safe environment, the sisters were free to visit their mom together. They enjoyed these visits immensely and loved reminiscing about family memories. When their mom died a few years ago, the sisters continued to see each other often. Now they enjoy trips to Europe or vacations at the beach with their families. Nancy and Judy’s experience isn’t that unusual. Sibling ties that wane during the first half of adulthood can become more important at midlife and beyond. A Swedish longitudinal study of older adult siblings showed that satisfaction with sibling later in life was closely correlated with health and positive mood — more so than was satisfaction with friendships or even relationships with adult children. Additionally, this same research showed loneliness eased for older adults who were in a supportive relationship with their siblings. This remained true no matter whether they gave or got support. Especially as we age, there is comfort in being connected with someone you have known all of your life.